We may look at trees' bare branches and count down the days until the rich, bright spring blooms arrive. Arborists, on the other hand, delight in seeing every branch, buckle and knot on trees. "In winter, when trees are dormant, their structure is crystal clear. That's just one of the reasons that winter is a great time to prune your trees," says Marcus Parker of Davey's Southeast Chicago office. "Anytime between late fall and early spring is one of the best times for tree trimming or pruning," Parker says. He advises you book a trim sometime after the leaves fall in autumn and before flowers bloom in spring. Typically, an arborist should prune your trees every 3 to 5 years. "That's a rule of thumb, but to find out exactly how often to prune your tree, you've got to consider the tree's type, size and health," Parker notes. 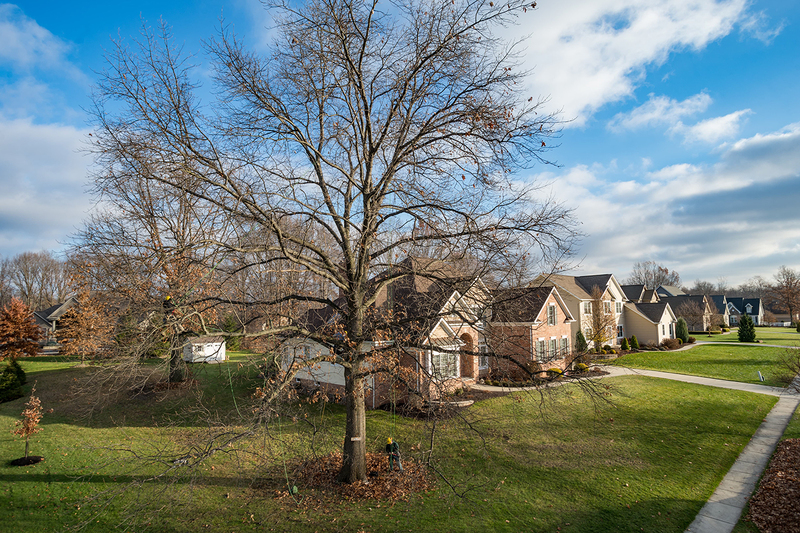 Why is late fall through early spring best for tree pruning? In fall and winter, trees enter a dormant stage, which is a lot like hibernation. This inactivity along with dropping temperatures creates an ideal setting for pruning. "If you were to prune after new growth has started, you could limit the plant's bloom potential for the entire year," Parker says. "Nobody wants that!" Plus, Parker explains that the harder ground means there's less chance of harming delicate landscape plants. The bare canopy also makes branches easier to see and handle. "I could go on and on about why pruning when trees are dormant is smart," Parker says. Instead, he suggests you check out Davey Tree's infographic on the topic. What are the benefits of pruning in late fall or winter? Dormant pruning promotes trees' current health and sustains future tree growth. And even better, dormant pruning saves time and money by helping with disease management. "There's less bacterium around in winter. By trimming trees in winter, the cuts are also less likely to attract bugs that could carry diseases," Parker explains. "That's a big plus this year with so many destructive pests and diseases out there, like bark beetles and oak wilt." 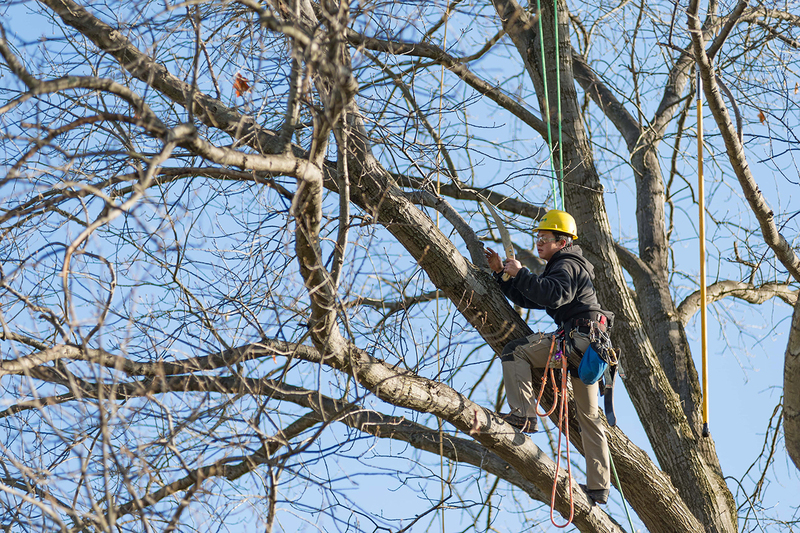 Plus, when arborists trim your trees in winter, you get to watch them bound from limb to limb. It really is something to see. Go ahead and take advantage of the last weeks of winter. Contact Marcus Parker, or your local Davey arborist, to schedule a free dormant pruning consultation.